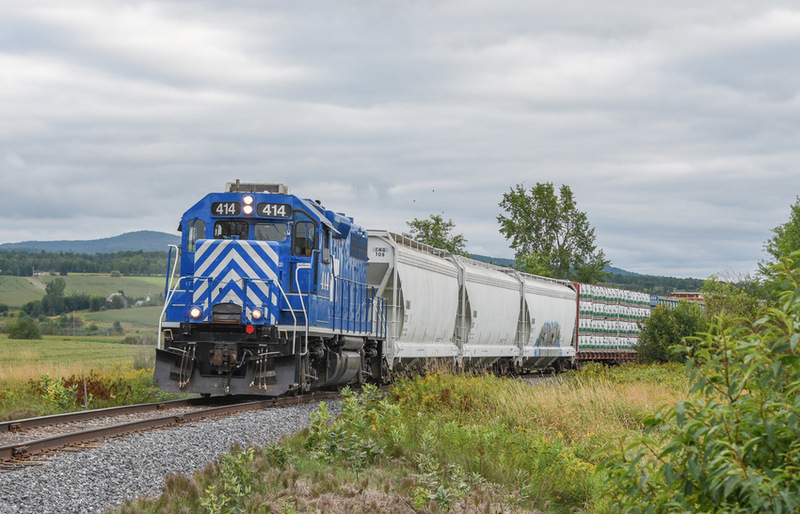 CMQ's leased CTI GP38-3 #414 makes its first trip on the Newport sub with 19 wagons. Photographed by Richard Deuso, August 30, 2018. Added to the photo archive by Richard Deuso, August 31, 2018. Railroad: Central Maine & Quebec.